We are incredibly fortunate to call Campbell River home. I am optimistic and confident about our community's future and I know that a positive attitude brings positive results. Negativity and criticism destroy productivity. Constructive comments, ideas and solutions create a positive and productive environment. I have the focus and experience required to transform divergent opinions into positive decision making. In my nine years on Council, I have maintained respectful relationships with City staff and with our partners in the business community, Regional Districts, School Districts, First Nations and senior governments. 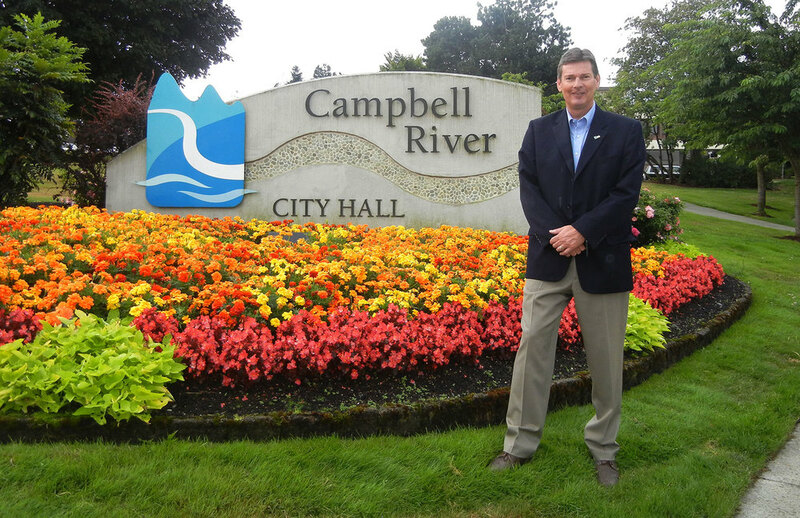 As a representative of Campbell River, at City Hall, in Council Chambers, within and outside our community, I have conducted myself in a professional manner. I will bring honour to the Office of Mayor. I have served in many leadership roles through my work, community involvement and City Council career. After three terms on Council serving with three different Mayors, I understand the potential and the limitations of the top job. I have come to appreciate that the role of Mayor -- one vote of seven -- is not about empty promises, it's about leadership and team building. Copyright © 2014 Andrew Adams. All rights reserved.